They have offered ALL first floor rooms for the convenience of walking dogs. This rate is only good for reservations made before 10/01/19. WRITTEN NOTICE must be received at least 24 hours before arrival. I would suggest calling the hotel to confirm it was received also. Full hook-up camping is available as well as dry camping. 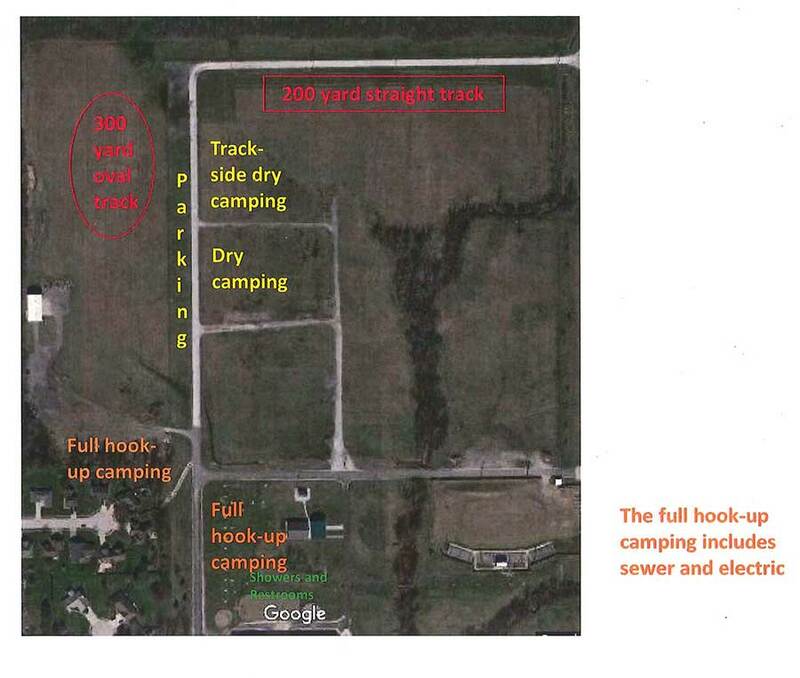 The dry camping is located track-side and the full hook-up camping is located approximately 300 yards from the tracks. We will have golf carts available to rent to make going back and forth easier. Contact Mike Hatton at 317-682-7941 or you can send him a FaceBook message at Mike A. Hatton. He will put you on the list to be sure you get a spot. When you do your on-line entries you will be able to choose which kind of spot you want and choose how many nights you will be staying. The full hook-up camping is $30 per night and the dry camping is $20 per night.